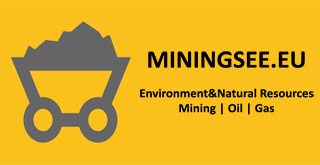 Reservoir Minerals junior mining company from Canada managed to attract another big company for its development projects in Serbia. After Freeport McMoraN joint development project Cukaru Peka, Reservoir will work with Rio Tinto which is also already active in Serbia Jadar Lithium project. According to RM release, Rio Tinto has agreed to a 75% earn-in and joint venture agreement with subsidiaries of Toronto TSX-V-listed junior mining company Reservoir Minerals, if it funds $75-million in exploration expenditure on four exploration permits in the Timok Magmatic Complex of Serbia, known as the Tilva project. Under the terms of the agreement, Rio Tinto could choose to incur total project expenditure of $7-million by November 30, 2019, to earn a 51% interest in the Tilva project. Should Rio Tinto spend $10-million within the following three years, it would earn another 14% interest, lifting project ownership to 65%. Should it then decide to incur a further $58-million to take the project to the prefeasibility stage within four years of the second earn-in milestone, it would earn a further 10% interest, for a total interest of 75%. Rio Tinto had also agreed to incur minimum project expenditure of $3.1-million by November 30, 2017, including reimbursing costs up to a maximum of $500 000 incurred by Reservoir to undertake a drill programme on the Tilva project that had started in September.